CK One is a perfume by Calvin Klein for women and men and was released in 1994. The scent is fresh-citrusy. It is being marketed by Coty. is very easy to explain. It takes a lot of work and skill to create a fragrance at the right time, which everyone wants to have in the here and now and which makes such wide waves that you still want to wear it in 20 years. I think CK One is such a fragrance. I also wore it for the first time when I was 15 (that was in 2001, when I could afford it), when Levi's, Wrangler, CK etc. were the jeans brands and everyone wanted "blue washed". I was one of them. Right now, I feel like I'm back in that time. Especially the youth is into this style right now, high waist jeans, classic sneakers from Reebok or Adidas, bumper jacket and as fragrance CK One. For me, it's a feel-good fragrance with which you don't do anything wrong, always smell well-groomed, without appearing too clean or soapy. CK One is your no-nonsense kind of fragrance. Very laid back and casual. It's fresh, lemony clean and a little musky on the dry down. It's a safe inoffensive pleasant scent. This really does put a spring in your step and a smile on your face. Perfect when it's hot and sunny. Longevity is above average for me. ...I find the current 6.9 points really unjustified. The fragrance is clear, light, and quite unique. I just got a little bottle for Christmas. It smells like when you wore Doc Martens, Palestinian scarf and bomber jackets. It still smells good and somehow fascinating. When spraying, one immediately notices bergamot, followed by mandarin, which slowly increases in intensity. After half an hour you can smell the flowers. There are worse scents, but it's very boring. Can only last 5 minutes, which is even bitter for an eau de toilette. No recommendation to buy. Smells like cheap soap. A very great fragrance. It smells very fresh from the first second with a subtle sweet and woody undertone, which makes it perfect for both men and women. Because it is not woody and not flowery as its main notes, it is a very strong unisex fragrance. This fragrance is perfect for summer and is best worn during the day. Calvin Klein released CK One in 1994, on those days I completed my thirtieth year, barely graduated and struggling for buying a flat on my own, so I couldn't afford it but... there was an uncannily similar clone made by Sireta and named Gender One, with the very same smell and vibe for less than 20.000£ Italian lire or 10€ nowadays... so I could wear that disruptive, innovative, and shareable scent without staying green. Light, fake fresh and fleeting, CK One was the frontier when it comes to that ever fresh green tea accord in perfumes, now over-popular that has been copied ad nauseam. Perhaps it is because this aroma is as familiar as the scent of say, a cup of Italian coffee. It was everywhere, and everyone smelled like CK One, the Calvin Klein scent of the decade. 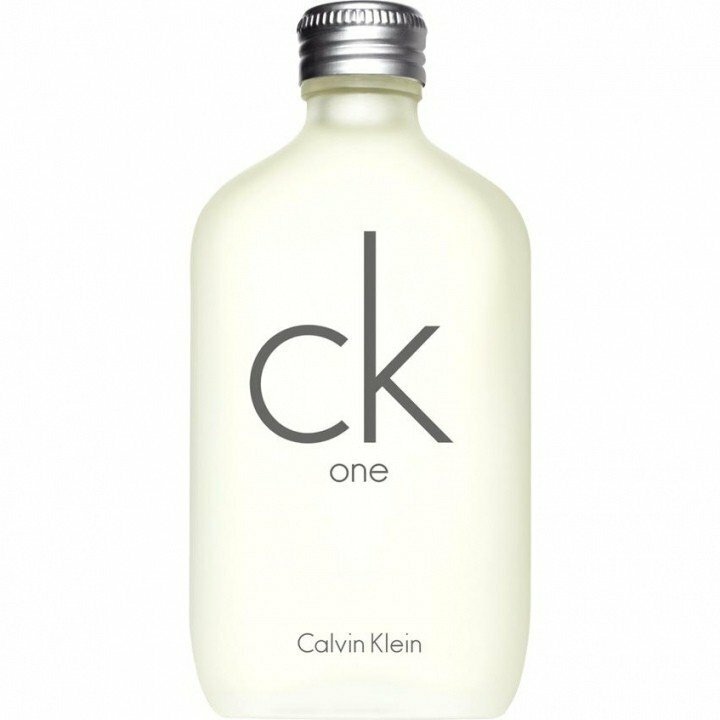 CK One is a fake fresh, it reveals after a while a hidden sensuality with notes of musk, amber, and sandalwood. These days CK One is still around, available for a ridiculous price online, thus I decided to buy a big bottle and give it a try, even though on these days I complete my fifty-fourth year, yet none of the two of us is getting older. CK One starts up with an explosion of a zesty accord, so light, so bright, so brilliant, and a modest kick of spices... I trust the presence of the tropical papaya fruit and a hint of pineapple in the blend soften smoothly the citrus blast making it a tad luscious. 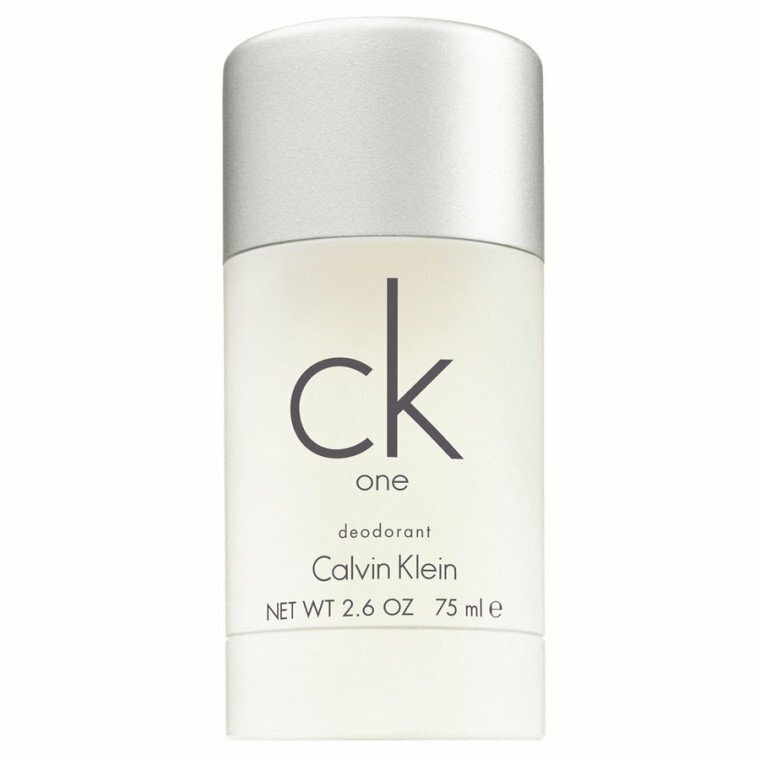 CK One is nearly unique, meaning that if you close your eyes and spray it, at the very first whiff you unmistakably recognize that good and uplifting redolence representative of CK One. Warm notes of green tea and amber add to the fragrance's subtlety. The heart is heavy floral, with plenty of hedione, the lily of the valley is so keen and gives the perfume weight and fullness. This is a green tea scent throughout its evolution, and this is why I think it is so utterly unisex. Mind you, the citrus/green notes still linger on. The drydown is wonderfully warm, soapy, and woody, dry sandalwood, aromatic cedar, light amber and musk, and a very clean oakmoss. They are all prominent in the base and add a touch of luxury to this citrusy fragrance. Amber normally gives off a sweet, resinous, creamy quality to a fragrance but in CK One, the amber is more of a background role player and the musk is more dominant, although it's not at all animalic. 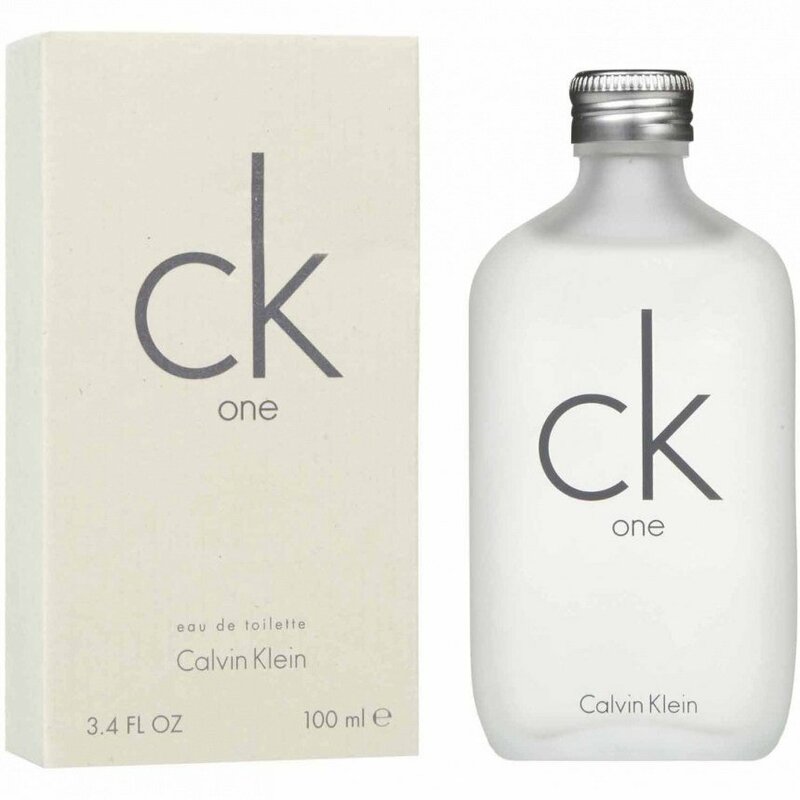 CK One is a great simple smell you can wear every day if you wish. It seemingly goes away as the day progresses but you still get nice whiffs of it once in a while, which indicates that it actually stays on even if you don't notice it all day. It's a light fragrance so you're not going to skunk out your colleagues in the small office with you. It is the perfect fragrance to add a touch of excitement to my daily activities especially in those days when my mood is hunting for something undemanding and cheerful. A perfect spring and summer scent for daytime use, whether you are at work or enjoying weekend adventures. Splash it on your skin for an instant burst of confidence that will last the whole day. As an alternative to CK One I do recommend Paco by Paco Rabanne, which was released to the market in 1994, they are very similar and share a plethora of facets. A friend brought up CK One yesterday in a discussion. The Calvin Klein names sound the same to me and it only clicked which CK perfume this was when I remembered the advertising campaign. The teenage faux-grunge advertising. Oy. I’ll tell you how it is that I’ve never smelled CK One before: target marketing works. In 1994 and I was 30, or twice the age of the target audience. I lived in New York and CK One advertising was public. In 1994, before social media, targeting simply wasn’t very precise. Rather than aiming, Calvin Klein flooded. Billboards, television, magazines and newspapers, subway posters. I had to swerve to avoid it. If CK One launched today I’d simply never see it. It just wouldn’t show up in any of my feeds. CK One was intended for a young audience, but the images were in everyone’s face, so a sort of self-recusal took place on-by-one. The perfume appealed to you or not, depending largely on whether the story being created included you. Imagery that read as cool/aspirational to the 21 year old who found the ads exciting didn’t appeal to me. Thin, world-weary teens playing Peter Pan meets Lord of the Flies? It screamed significance in fashion patois, but the post-grunge styling was years late and a shoddy attempt to cop a style from a subculture. The CK One campaign started a few months after Kurt Cobain killed himself. The notion of Calvin Klein trying to catch some momentum from grunge at this particular time was repugnant. So I opted out. I was obliged to continue to see the images—I mean, I rode the subways—but that was the end of my participation. The contempt wore off after about a week. Then I just navigated the images until the next thing came along and replaced them—a classic New York experience of my time. I remember a couple of details about the perfume. It was ‘unisex.’ I was surprised that they made a big deal of it—was unisex that novel an idea? Also, the fragrance was supposed to be contemporary and clean. SO contemporary and SO clean that it was somehow beyond scent. So I tried CK One ‘cold’ yesterday for the first time. I’ve never read about the perfume itself. I have a bottle of CK One and some 25 year old recollections of the launch. 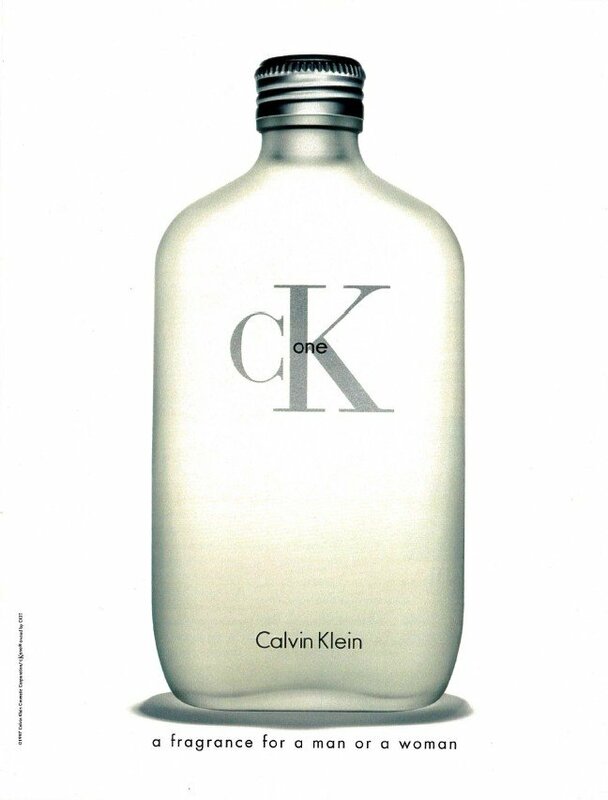 CK One smells like it was intended to convey hygiene yet go unnoticed. It’s there, but it claims not to intrude into your consciousness. There’s been years of discussion about the contradiction and denial involved in fragrances trying to smell like nothing, so I’m sure applying the notion to CK One is nothing new. But CK One smells like a very specific nothing. It’s conceptual: a ‘clean’ fragrance + a masking fragrance = an impulse of purity. It allows you to feel invigorated without the invasiveness and effort of having to exhibit a clean scent. 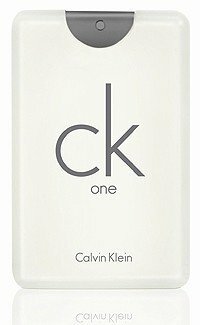 From the angle of 2017, hygienic fragrances seem very ’90s-specific, but for all I know, CK One invented the approach. It also smells like diet soda and Febreze, which wouldn’t exist for another another 4 years. I give CK One enormous credit for its methodically synthetic tone. It comes across as calculated and legible. I had never smelled it before yesterday, and yet it instantly smelled like an era. If CK One’s goal was to create a new style of fragrance, my experience points out how successful it was. Since I'm good in crafts, I'm thinking of making a belt with two holsters, all Far West and stuff, and pack two 200ml bottles of this little wunderwaffe all the time. Cause this looker is a life saver in all its salience. And a delight savourer in all its clarity too. It carries an one of a kind charisma to dissipate any troubles that may be thrown your way. There's nothing this beaut can't handle. Even getting the "poet" out of me. Even enjoying its own bipolarity by being two different fragrances, depending on where you spray it. Citrusy and musky clouds on my wrist, salty bitter woods in the crook of my elbow (whilst crooking it). It almost changed my attitude towards Calvin Klein, since I never thought of them as a truly memorable perfume house producing fragrances with the potential to become legendary over time. Who knows, perhaps they were never meant to concoct august heavy hitters, but rather sanguine and happy carefree vagrants. Oh, and its bottle makes an excellent atypical and kooky case of a hip flask when empty. I was not impressed with ck One the first time I tried it. It was so different to my favourite (powerhouse) fragrances, that I hastily decided that it must mean cK one was a bad fragrance. Its abstractness I also found to be hard to engage with. There was, however, something I found compelling about it. It was only when I smelled it on someone else (a Korean teacher visiting the school I work at) that I really appreciated it for what it is: a comfortable, subtle fragrance with remarkable longevity. To me it is all about citrus and how it has been altered to last an incredibly long time. Citrus, and in particular lemon is evocative of warmth, of Mediterranean hill sides and so on. As an essential oil it lasts maybe an hour at the most, but cK One lasts for half a day. The lemon is not the warm smell of Italy or some similar place, but has a stark, crisp austerity. I find it hard to name the other notes, but there is a leafy greenness and what could, as other reviewers have noted, be a green tea note, or perhaps it is the combination of light floral notes and green notes. It reminds me somewhat of Dunhill Fresh and it is perhaps the subdued violet note I am detecting. It rightly deserves the respect it gets and can be found very cheaply where I live. Along with Vetiver by Guerlain I plan to wear this a lot through the hot Australian summer. 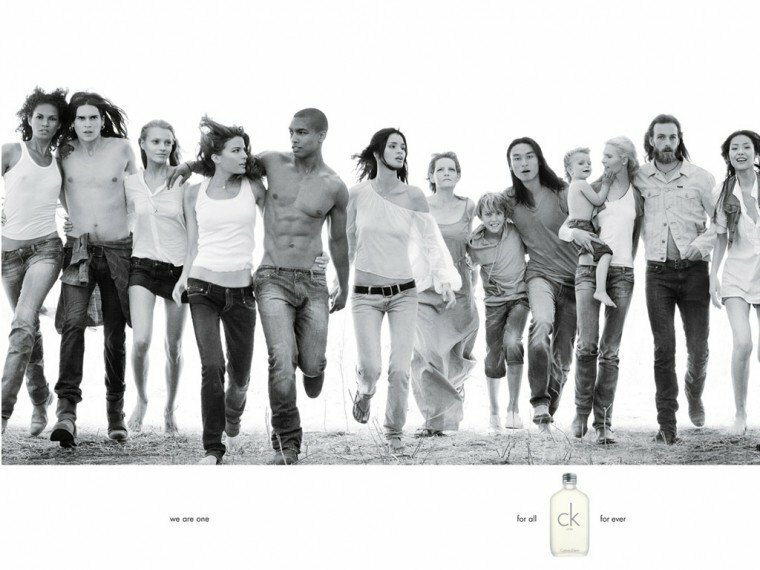 With the release of CK One in the mid 90's the landscape of designer fragrances changed from one that promoted exclusivity, to one that inspired accesibility for all ... a sort of 'revolution for the people'. I was one of those sucked into the vision and admit to wearing copious amounts of this one on a regular basis! Never having been one for ascribing gender to fragrances, the hullabaloo about it being 'shared' or 'unisex' never meant very much to me. It was more a situation of wanting to feel part of the herd ... I had just moved halfway across the planet on my own and felt a desperate need to feel integrated within my new surroundings. Along came frags like Acqua di Gio, Cool Water and Issey Miyake which allowed this, as most social situations were permeated by the fresh, clean ozonic smells of bergamot, calone and the like. I haven't had a bottle of CK One for the longest time, but trapped by work on a tropical Island for the moment and having run out of a daytime fragrance, I asked a friend to bring me a bottle from Duty Free on his way in. I confess to being quite enchanted once again! The notes here at Parfumo seem a little incomplete. Various sources list them as bergamot, lemon, mandarin, cardamom, pineapple, papaya, lily of the valley, green tea, oakmoss, cedar, sandalwood, musk and amber ... and curiously one source even lists Hedione, a Firmenich molecule that recently celebrated 50 years of use in fragrances. My nose having become a little more discerning since my original CK One days, I find that my wearings of the last few days certainly inspire memories of the past ... but I am also looking at this classic from a fresh perspective. I have Hedione in a collection of aroma chemicals and I definitely smell it in CK One. Chemically referred to as Methyl Dihydrojasmonate it brings a beautiful, non indolic jasmine note to the composition, complimented by major quantities of hesperides up top. The base here is powdery and woody, reminding me a lot of a Sandalwood compound from Robertet that I was lucky enough to try recently. CK One is apparently almost 20 years old and I have never tried it until now. I just love it. Sweet, refreshing, lovely. Opens with herbs & citrus, very fresh with spiciness underneath. Soon the floral comes by - just lovely. I can't distinguish one floral from another, I will leave that to the more trained noses. At the end of the time it becomes fantastically caramelly and rich. I would definitely wear this during the coldest, snowiest, miserable winter to remind myself of the warm bright sunshiny days to come. It's not very long lasting on me, but I would make sure to have a vial in my bag wherever I go. What a fantastic, versatile and popular scent. 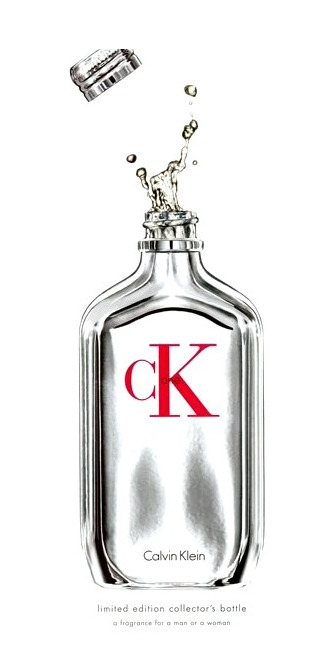 CK One is a fragrance that deserves its massive success. CK One is fresh, clean and definitely unisex. It's a sweet, citrusy and masculine fragrance, which together create a scent which can suit both men and women. This fragrance opens with the citruses and fruits, however they are not a sour or strong combination, instead they are subtle and pleasant. While wearing this fragrance you can not help feeling refreshed and clean, almost as if you've just stepped out of the shower. I rather enjoy CK One's soapy and citrusy scent, which is rare seeming that I usually dislike scents of this nature. I have concluded that it is because this fragrance is light, that I am more drawn to it. Had CK One been overpowering it would have made me nauseous. A true all time classic. Worth having in your collection. Avant-garde when it arrived, but time has passed it by. An abundance of better options available now.